If you want me to do something, ask me. As a kid with ADHD, people often deal with me by raising their voices or becoming more stern in an effort to be more clear. Don’t we all HATE getting told what to do? I have a backpack of burdens. A lot of things on my plate. But if you ask for my input, it’s as though there’s a different part of my brain that gets involved. So when parenting, trying to teach me, or disciplining me, turn your demand into a question and engage me. You’ll get a lot further. My Mom coaches business leaders, and is constantly teaching them the same thing. In fact, due to her strong belief in this concept, my parents stopped “telling me” years ago and started asking for my input. It’s made it more natural for me to talk to my parents about difficult things and probably laid the foundation for me feeling comfortable talking to them about my ADHD in so much detail. 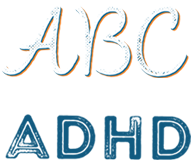 Here are a couple of concepts from my Mom’s program that are more effective than demanding, nagging, yelling and punishing a kid with ADHD. Open-ended questions are ones that invite more of an answer than just “yes” or “no.” For example, instead of being told to “DO YOUR HOMEWORK,” I hear her better when she asks me about it. Instead of “do your homework” .. say ” what are you going to work on first? What is the most important homework you need to work on now? Instead of ” clean up the kitchen… say ” are you going to clean the kitchen now or in 10 minutes? Do you want me to set a timer to remind you or do you have it? Ask Don’t Tell. Instead of ” Stop listening to that horrible music.. say ” tell me about your music.. what do you like about it? Same for teachers… instead of telling Jeff, “get to work”… they now ask him “are you ready and able to start working now?” The question goes to a different part of the brain than a command would and gets a much quicker and cooperative response. -Ask for feedback on a situation instead of assuming you already know all the answers. Say “what have you learned from this experience” to get me thinking about the lessons I’ve learned, or “how would you do things differently next time,” “what went wrong,” “what do you think would work better.” We can all learn from our experiences, so this is a non-threatening way to discuss change that needs to happen. BOTTOM LINE: Asking is about building relationships, telling is about being in charge.